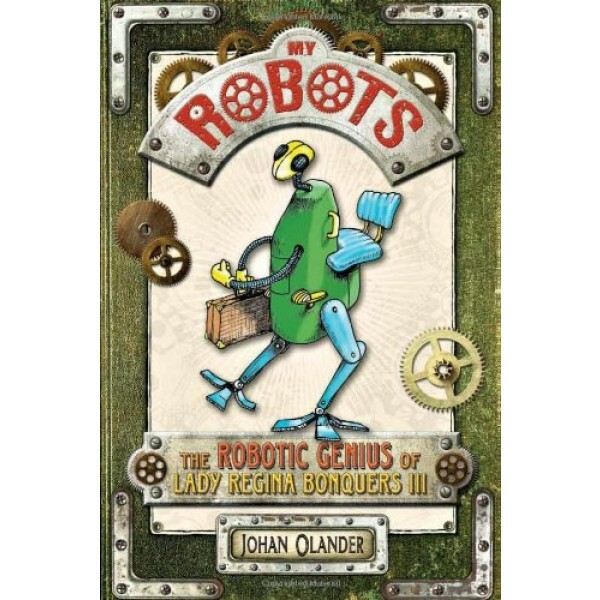 In this intriguing volume, noted monstrologist and alienologist Johan Olander reveals the works of the talented inventor Lady Regina Bonquers III, a genius recluse who mysteriously disappeared in 1972. 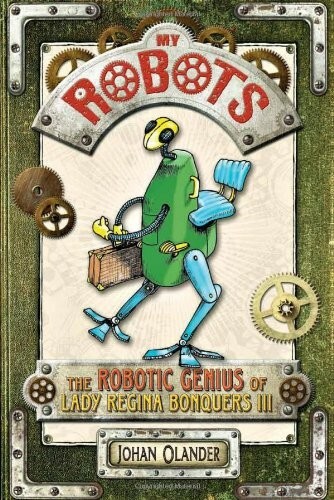 The collection includes some of the most fascinating robots ever seen -- and some never before seen. Shown here are Lady Regina's sketches and notes, as well as marketing brochures, newspaper articles, and other artifacts of these machines. Inside you'll find interplanetary battle bots; giant firefighting robots; building bots going berserk; a pocket-sized Personal Grooming Robot (for plucking unwanted nose hairs); the snuggliest, cuddliest hugging robot you've ever seen; and much more!